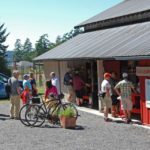 WJ Tested: Exploring San Juan Archipelago from Spencer Spit to Chuckanut Bay to Bellingham Cruise Terminal on Schooner Zodiac! 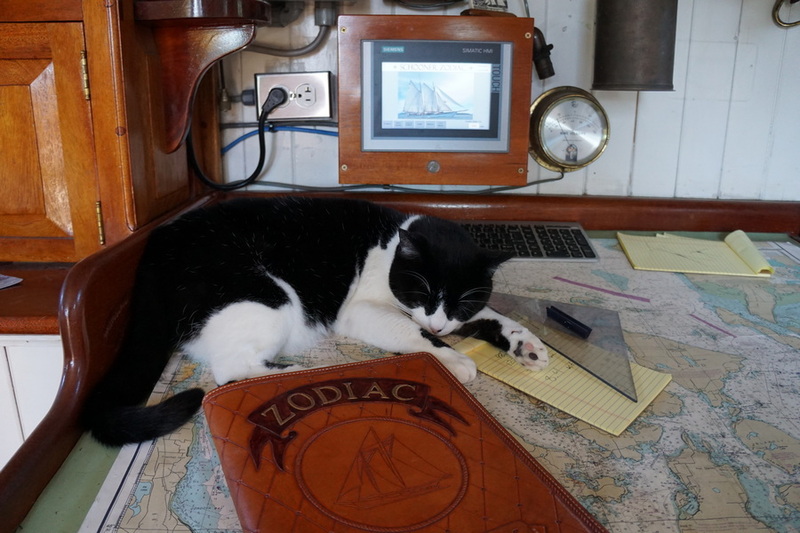 After sleeping indoors for the first time this sailing, we were closer to the 7:00 AM breakfast bell, but not hungry after last night’s after dinner crab snack. 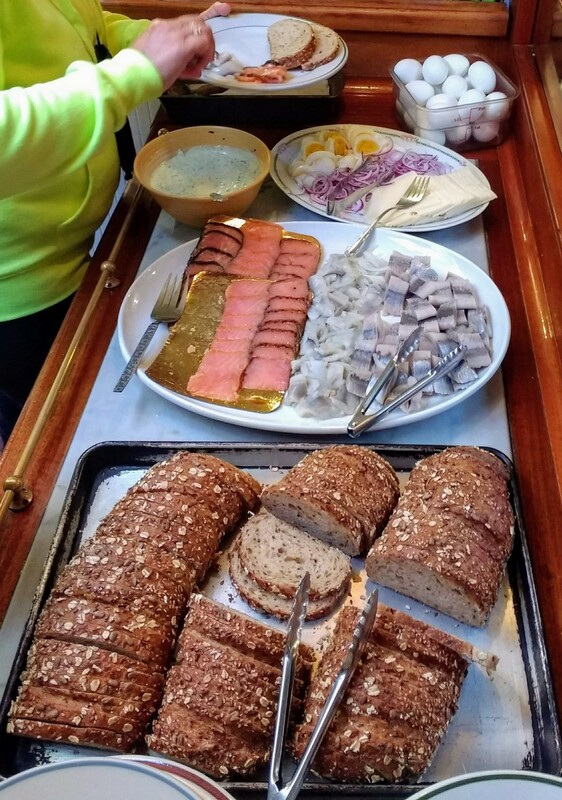 The Scandinavian style breakfast spread featured the makings for open-face sandwiches – whole wheat bread, boiled eggs, pickled herring, lox, remoulade, sliced red onion, deli cheese, chicken liver and bacon pâté. Pickled herring and smoked salmon. 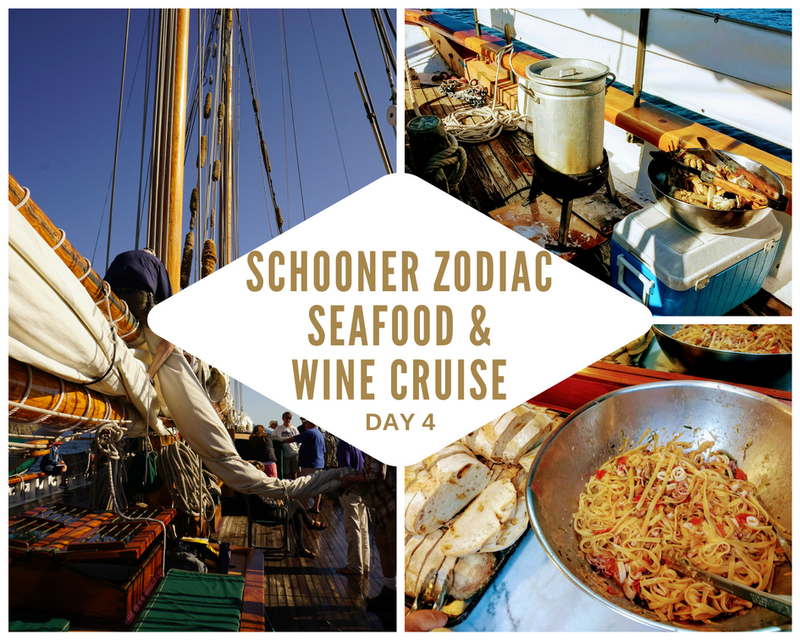 At 8:30 AM Zodiac’s morning chores started while volunteer crew member Christian pulled crab pots and cooked more Dungeness on the deck. 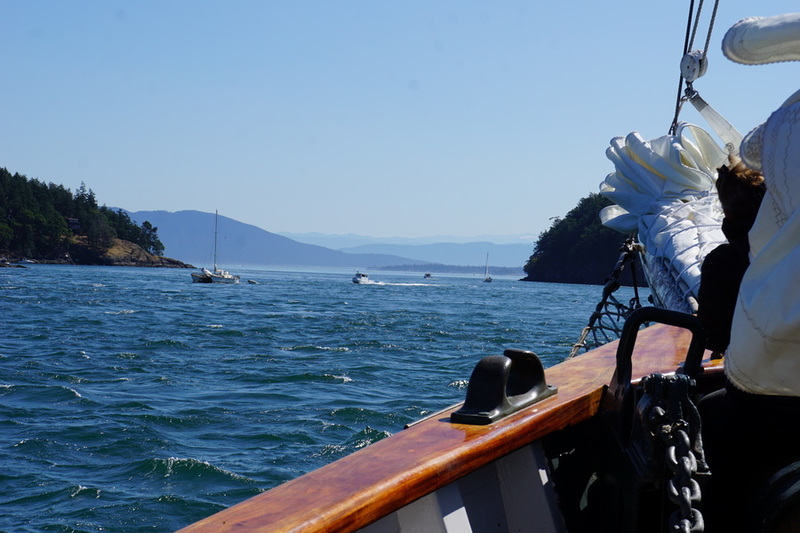 An hour later we pulled up the anchor and started motoring from Spencer Spit. With very strong currents against us today, it didn’t look like a good possibility for sailing in the morning. 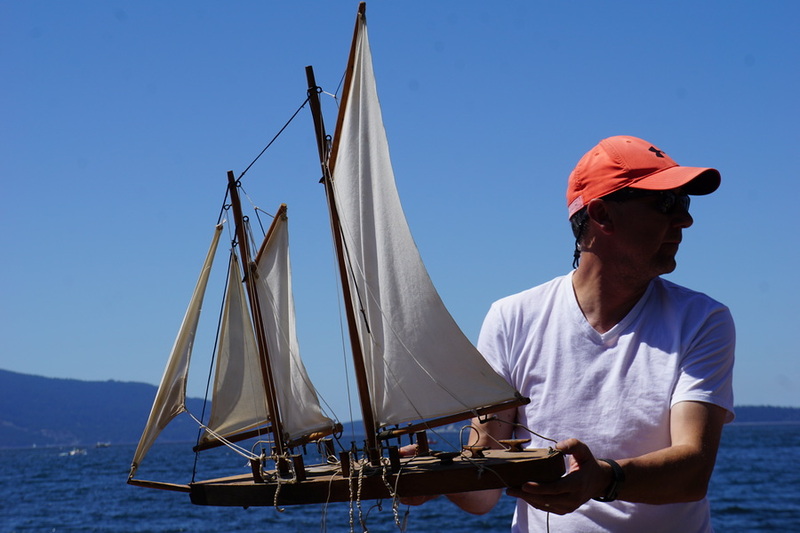 Schooner Zodiac motored past Blakeley, Sinclair, and Cypress Islands towards Lummi Island. 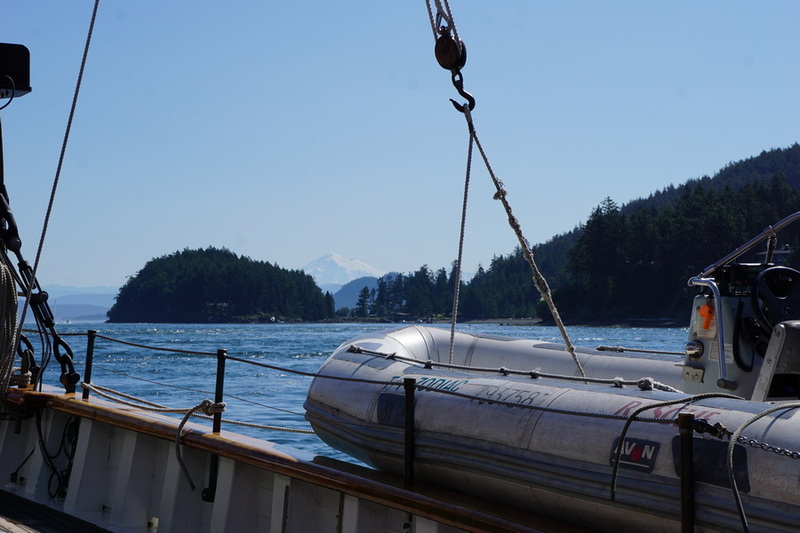 With perfect weather once again the fabulous views of Mount Baker in the distance was incredible. 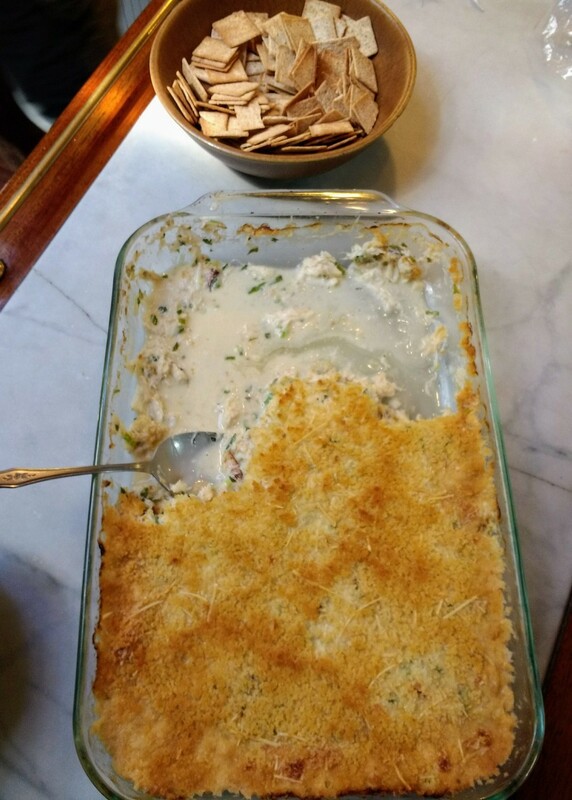 The final sailing watch rotations were started for those wanting to participate, and a mid-morning snack of hot crab dip and crackers was a huge hit with passengers. 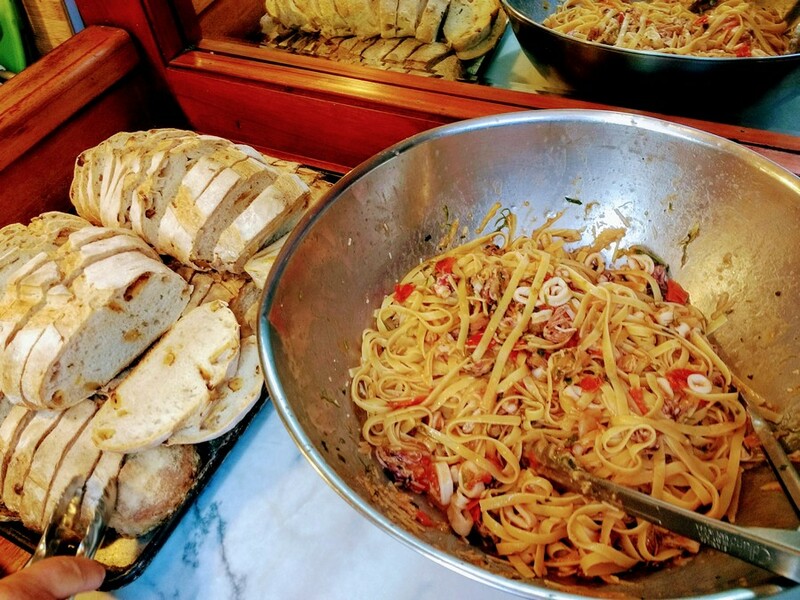 Caz rang the lunch bell and served up squid and chili pasta with cherry tomatoes, a green salad, and garlic bread. 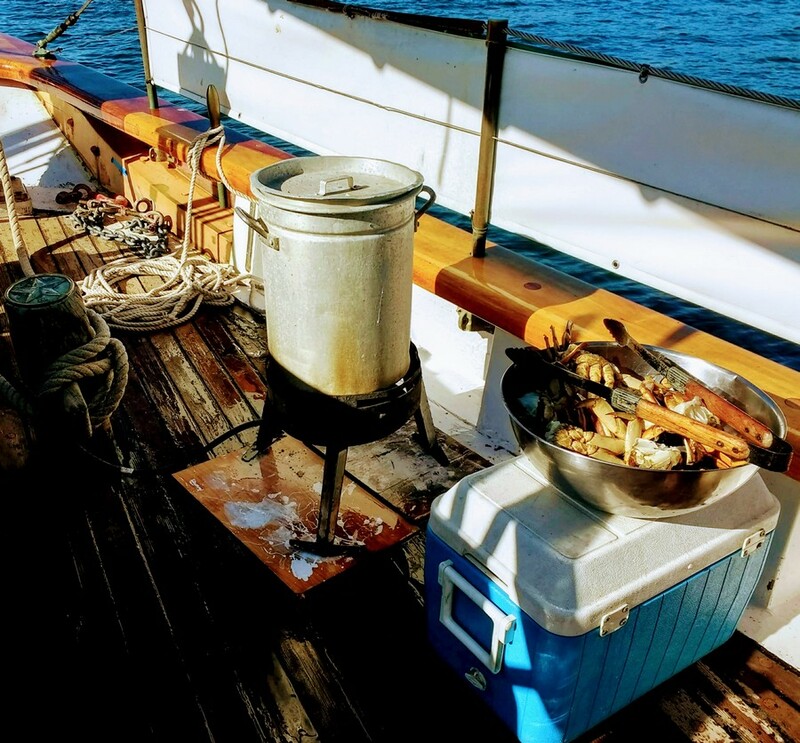 Once again a seafood meal that was a huge hit with the hungry sailors. 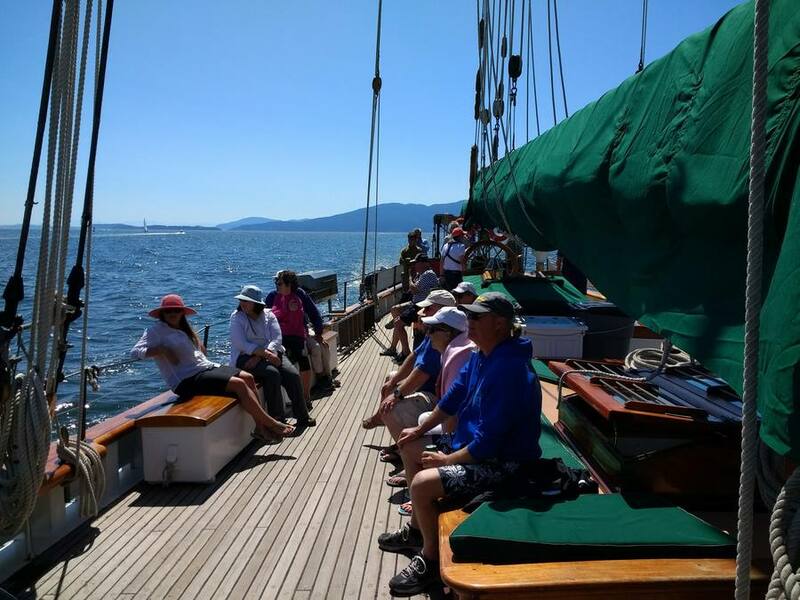 Around 1:00 PM Zodiac dropped anchor at Chuckanut Bay to spend some time chilling out until returning to Bellingham Cruise Terminal. 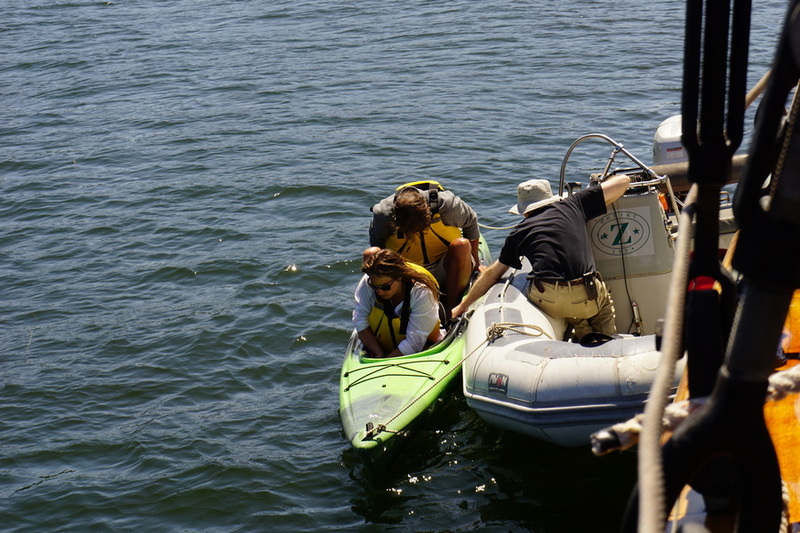 A couple of passengers took the opportunity to kayak while the crew prepared Zodiac for returning to the dock. 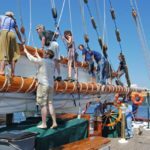 Volunteer crew Christian gave a lesson to any passengers interested in learning more about the ship and sailing in general. 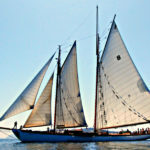 Returning to Bellingham Cruise Terminal, First Mate Henry, under the expert eye of Captain Tim Mehrer, docked Schooner Zodiac exactly as promised at 3:00 PM. It was time to say good-bye to the new friends we’d made and travel home with our thoughts full of all we’d seen and experienced during our 4-day/3-night seafood and wine cruise. 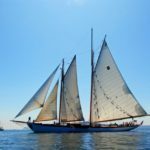 Where will we sail next on Schooner Zodiac? 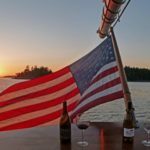 Note: WAVEJourney were guests of Schooner Zodiac for their July 12 – 15, 2018 Pacific Northwest Seafood and Wine Cruise. Read our full disclosure statement to see that this has no effect on our reviews.